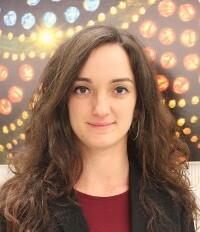 Marina Benedet is currently pursuing her second year of the Master in Management Double Degree at Bocconi University, based in Milan (Italy) and Mumbai (India), and at ESSEC Business School based in Cergy (France) and Singapore. Previously, she worked as an Accounting and Taxation Intern at Hawksford in Singapore, an international and award-winning corporate, private client and funds advisory firm. She also worked as a Summer Intern at Vodafone Italia Spa in Italy. She completed her bachelor’s degree in Business and Management at Bocconi University, with first-class honours. To see Ms. Benedet’s more detailed CV, click here. For information about the Master in Management Double Degree program offered by Bocconi University and ESSEC Business School, please follow this link. Marina can be contacted at [email protected] . Share the post "Marina Benedet"